Catching Pokemon! – Just like candy, stardust is given when successfully catching a pokemon. 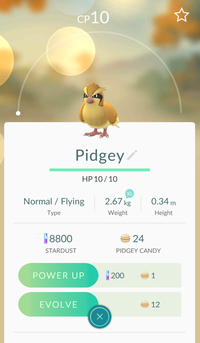 Each catch gives 100 stardust and 1 candy of that pokemon. Egg Hatching – The amount of stardust you obtain from hatching an egg varies on the distance of 2 km, 5 km or 10 km. Defending a Gym – After level 5, you can place pokemons to defend in the gym. The number inside(you can check the shield icon in the top right) will list the number of Pokemon you have defending gyms. Every 21 hours, a Defender Bonus will reward the trainer with PokeCoins and Stardust if they tap the icon, increasing the amount for each additional Pokemon currently defending a gym. Also keep in mind that it is not necessary to have a pokemon defending during the cooldown period. You just need 1 pokemon at the gym to get the reward when the shield isn’t counting down. Please do not waste Stardust on pokemon you can’t evolve. You might have itchy fingers and want to power up that new rare pokemon you found, but you will regret it when you finally get to evolve your Charmander only to find out you won’t have enough stardust to cover that. As you can see from the table, it requires more Stardust at higher levels, so be prepared to catch more Pokemon! Power up already high CP pokemon. This will help you in the long run and save more Stardust. Be sure to train to increase the gym’s prestige so you can use more pokemon to defend. Also keep in mind that you are using candies alongside your stardust. There is no other exception!